Take a look at this closeup mockup by Placeit! It's featuring a man wearing socks while standing on a multicolor surface, it's a really versatile image that you can customize to promote your latest design in a professional way. Start now! Upload your design images and remove their black or white background using the menu on the left side of the page, and don't forget to choose the socks, pants and background colors with the HEX tools on the right. Try another Socks Mockup! Check out this awesome mockup by Placeit! It's featuring crossed man's legs wearing socks while against a solid background, isn't it a beautiful choice to promote your latest design? Start now, all you have to do is use the menu on the right to choose the background and the socks color, then upload your design using the menu on the left. You can remove its black or white background from it too! Start now and make your income grow! Try another Socks Mockup here! 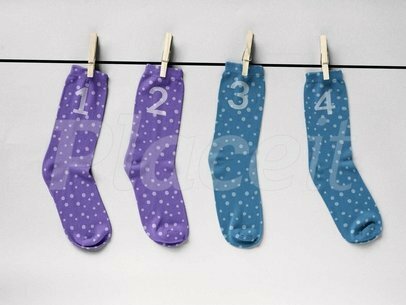 Check out this mockup of a pair of socks against a solid surface, you can choose whatever color you want for it! Or you can even make it transparent, using the hex tool to the right of the page. Awesome, right? Upload different designs for each sock if you want, using the menu on the left. Placeit will help you promote your business in a better way! Try a Hat Mockup! Promote your latest designs with Placeit! 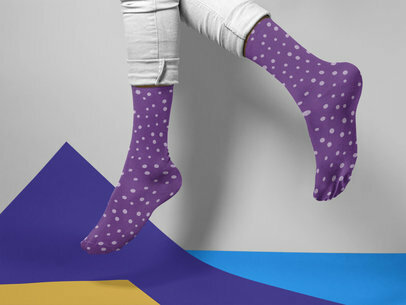 This mockup features a man jumping while wearing socks on a multicolor surface, it's a gorgeous visual that you can use to promote your latest design in a creative and beautiful way. Start now! The menu on the right will let you choose the socks and backgrounds color, the one on the left will let you upload your designs and choose to remove a black or white background from the design. Amazing, right? 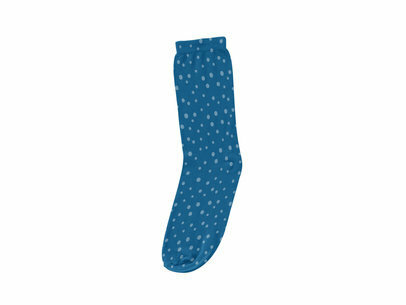 Try another Socks Mockup here! Check out this awesome mockup by Placeit, it's featuring an extended leg wearing a sock while against a tricolor surface, it's a really versatile and cool picture that you can customize as you please in order to sell your design to your specific audience! Start now, choose the sock color and the background colors with the menu on the right, then upload your design and remove its black or white background with the menu on the left. Easy, right? Try another Socks Mockup! Check out this awesome mockup by Placeit, it's featuring crossed legs wearing socks while standing on a solid room. Start now using it and make your income grow! All you have to do is choose the socks color with the menu on the right, then upload your design with the menu on the left, with which you will also be able to remove the black or white background off of your design. Amazing, right? 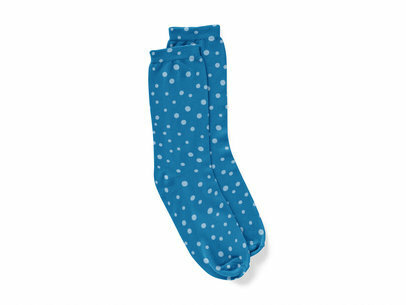 Try another Socks Mockup here! Check out this awesome mockup featuring a pair of socks being worn while lying on a multicolor surface, it's a really cool visual that you can use to promote your latest idea in a beautiful and versatile way. All you have to do is choose the socks color and the background colors using the menu to the right, then upload your design and remove its black or white background from it with the menu on the left. Amazing, right? Try another Socks Mockup! Check out this awesome mockup featuring two pairs of socks hanging from a rope while against a solid backdrop, this image is excellent for you if you are looking to promote your latest design in a versatile and beautiful way. Start now! All you have to do is just use the menu on the right to choose the background and socks colors, then upload a design using the menu on the left and remove its black or white background too! Try another Socks Mockup! Check out this mockup featuring a sock being worn by a foot on a colorful studio, you can choose its colors! All you have to do is use the menu on the right to choose the sock and the background colors, then upload the design using the menu on the left. Awesome, right? Don't forget to also remove the black or white background from your design using the same menu. Try another Socks Mockup! Take a look at this awesome mockup featuring a man's foot wearing a sock against a tricolor surface, it's a gorgeous visual that you can use to promote your latest design in a beautiful and creative way. Start now! You just have to use the menu on the right to choose the sock and the background colors, then upload your image using the menu on the left, and remove its black or white background too! Start now and make your income grow. 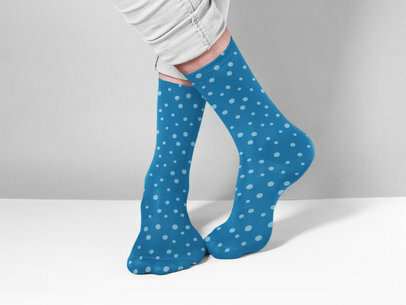 Try another Socks Mockup here! Take a look at this awesome mockup featuring a sock on a flat surface, it's a gorgeous visual that you can start using in a lot of different ways to promote your latest designs to your audience. Choose the background color! Use the HEX tool to choose the exact color that you want for the background, or choose transparent too. Upload your design and remove its black or white background with the menu on the left. Awesome, right? Try another Socks Mockup! Check out this awesome mockup featuring a pair of socks being worn while against a tricolor surface, it's a gorgeous visual that you can use if you are looking to promote your ideas in a beautiful and creative way. Start choosing the socks and background colors using the menu on the right, then upload your designs and remove the black or white background off of them if you want with the menu to the left. Use Placeit and make your revenue grow! Try another Socks Mockup here! Check out this awesome template of two legs wearing socks while against a multicolor backdrop, it's a gorgeous visual that you can use to promote your latest design in a cool and versatile way! All you have to do is choose the background colors using the menu on the right, then upload your design and remove its black or white background with the menu on the left. Super easy, right? Use Placeit now and see how your income grows! Try another Socks Mockup!